Jack Beilis once lived the American dream: custom suits, new cars, and the best clubs. But by 1931, he has sunk so low he cannot feed himself or his ailing father. Now he barely has time to wipe the blood from his hands before he finds himself on a ship from New York to Moscow, running from a crime he never intended. 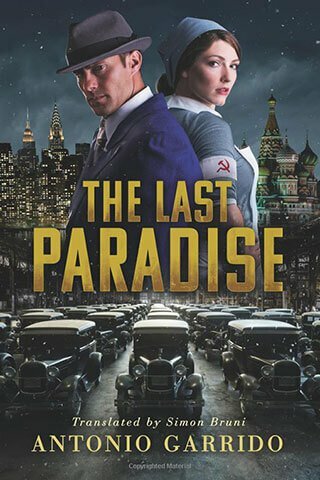 Desperate for an escape route, Jack wants to believe stories of a worker’s paradise in the Soviet Union. Maybe the distance between Ellis Island and Red Square will let him leave poverty—and his pursuers—far behind. Jack accepts an opportunity at the Gorky Ford Factory and embarks on a new life. What he finds, though, is a surveillance society, empty store shelves, and a dangerous network of black markets. There seems to be no way out, until Jack meets Dr. Natasha Lobanova. Could this Russian beauty be his deliverance? When Natasha’s own dark history surfaces, Jack’s fate is threatened. With betrayals and secrets everywhere, Jack struggles to trust anyone or anything…even his own heart.